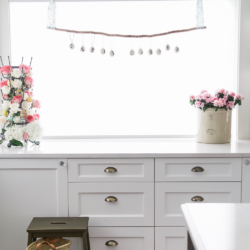 I will show you how I added touches of spring to my decor! 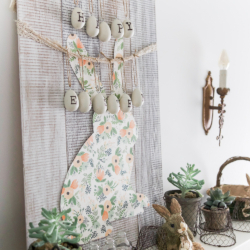 It’s still quite chilly outside but it’s spring inside our house! 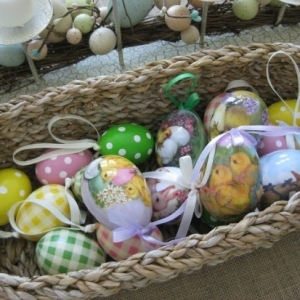 I got these Happy Easter eggs from Pottery Barn on clearance last year. 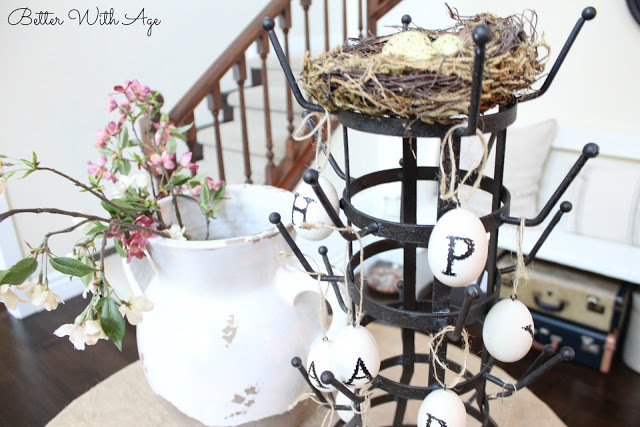 I added a little nest on top. 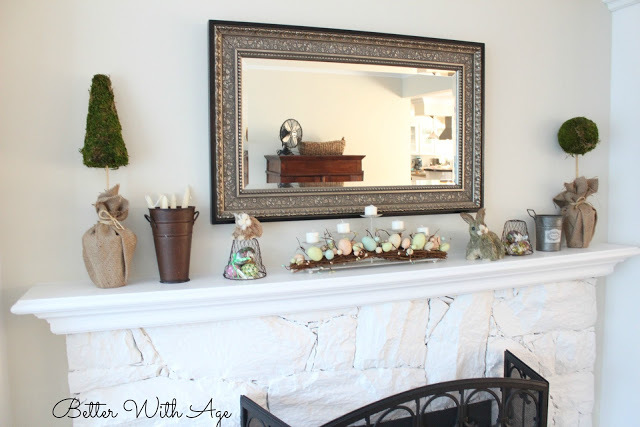 My spring mantel! 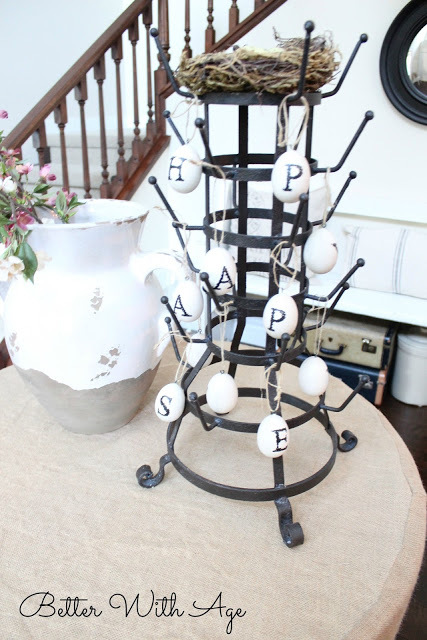 I added some easter eggs under the little wire pots. Hello Spring! 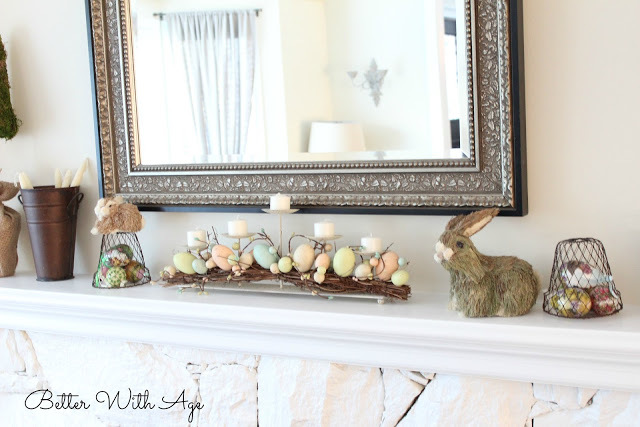 The little bunnies are from Pottery Barn a few years back and the egg centrepiece is from Home Sense. 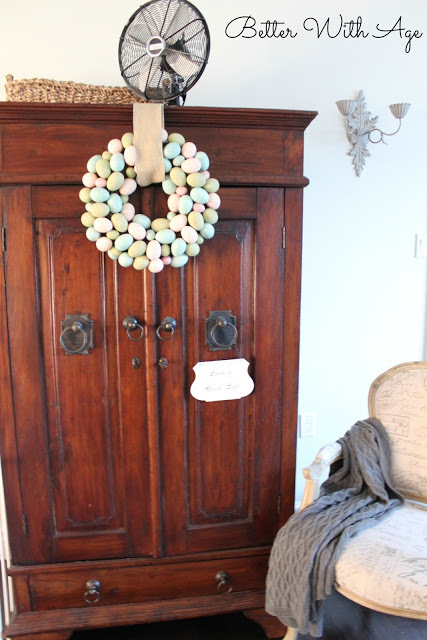 I’ve had this egg wreath for years and I still love it! 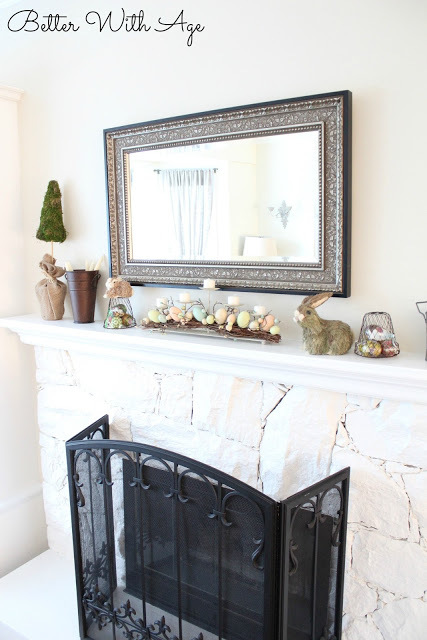 It’s from Home Sense. 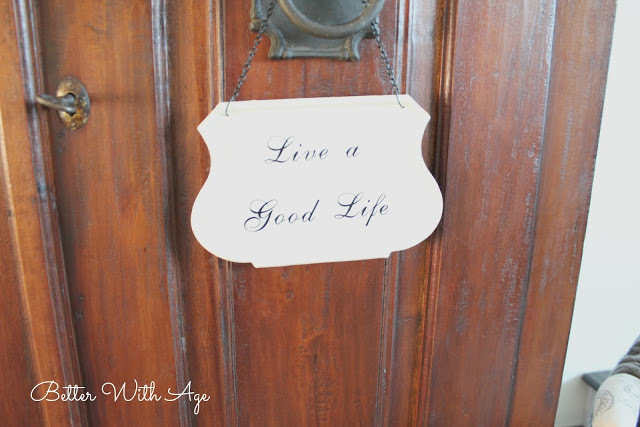 This little sign is always hanging on this armoire. 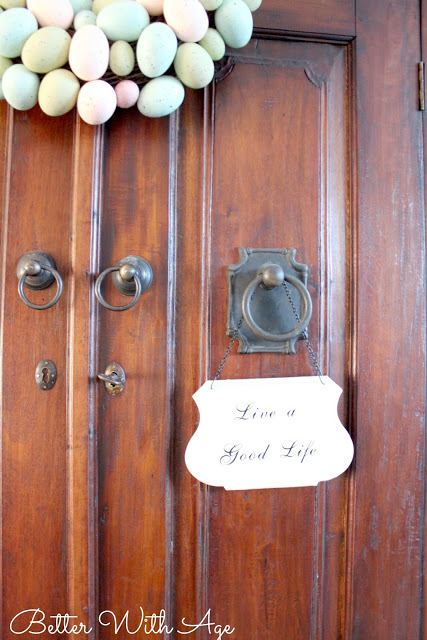 Live A Good Life. 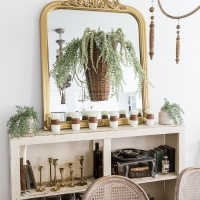 I have a bottle tree, too and love your idea! Thanks Sherry! Have a great week! 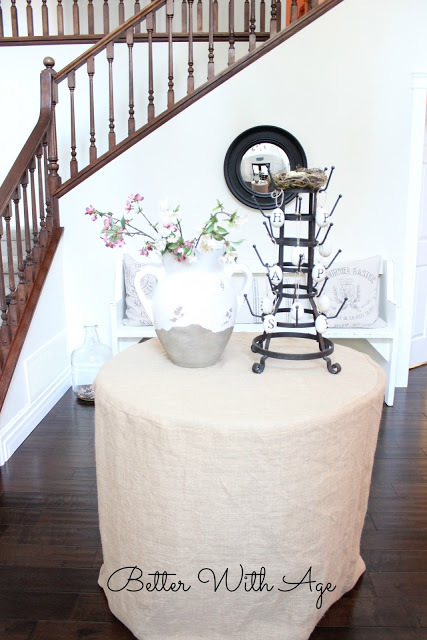 Love the entry! I think I’ll be on the lookout for a bottle dryer this yard sale season! 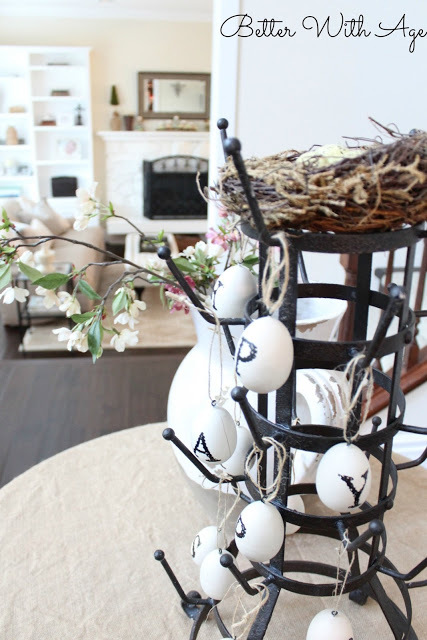 Your Spring decorations make your home so inviting. 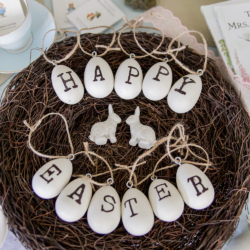 I’m having Easter Dinner here so I need to get in gear with some fun ideas like yours!